Windows desktop software for word and phrase counting, file & email encryption, file backup & wiping, calendar date conversion and more. There is a lot more on this website than these programs (see here) but we'd like you to take a look at them before exploring this site further. Listed below, these programs are all hand-crafted for functionality and ease‑of‑use. For full descriptions click on the program titles in the blue boxes. This page has, for each program, a link to PayPal for purchase of a perpetual (time-unlimited) user license. For all programs, a user license is also available for use of the software for 3 months or 1 year. To purchase a time-limited license, click on the program title to go to the product page and follow the 'Purchase' link. To purchase (via PayPal) 2, 3 or 4 programs at a discount of up to 47% click here. 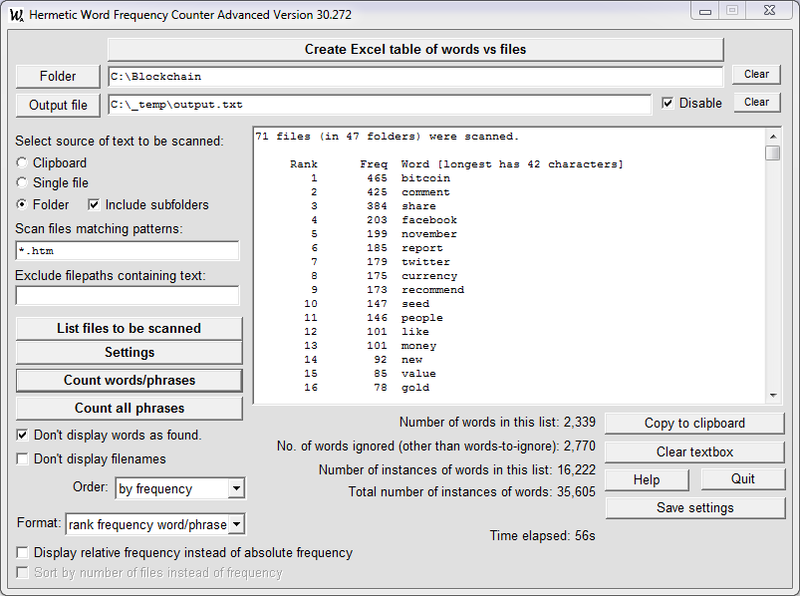 This software scans a text file, a HTML file, an XML file or a Word DOCX file and counts the frequencies of different words. The words which are found and displayed can be ordered alphabetically or by frequency. There is no limit on the size of an input text file. Results can be written to a file and can be read into Excel for further processing. Scans one or more MS Word DOCX, text or text-like files (e.g. HTML and XML files) and counts the number of occurrences of different words or phrases (optionally with pattern matching). The words/phrases can be displayed alphabetically or by frequency. Works with text in most European languages. Optional file output for Excel. Scans one or more MS Word DOCX, text or text-like files (e.g. HTML and XML files) and counts the number of occurrences of different phrases (of a user-specified size). The phrases found can be displayed alphabetically or by frequency, and can be searched. Works with text in most European languages. Optional file output for Excel. 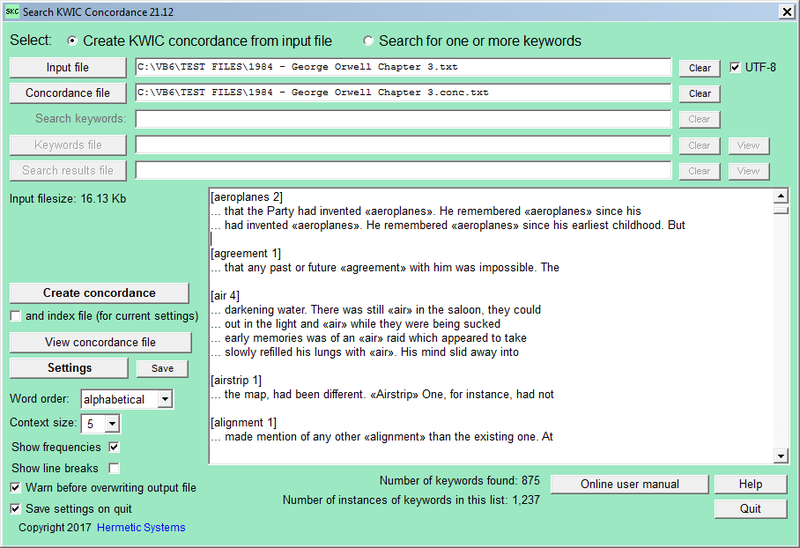 A program to scan a text file, an HTML file or an MS Word docx file, ignoring common words, to generate a KWIC (keywords-in-context) concordance (displaying all words in context). This can then be searched for words or word patterns. 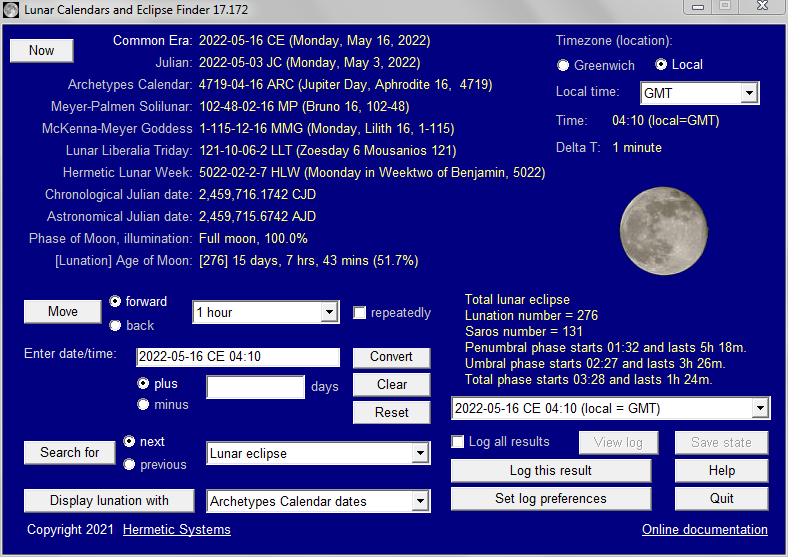 A program to search for eclipses (lunar, solar, total, annular and partial), to calculate the phase of the Moon at any given date and time and to convert between dates in the Gregorian and Julian calendars and dates in various lunar calendars: Meyer-Palmen Solilunar, Hermetic Lunar Week, etc. 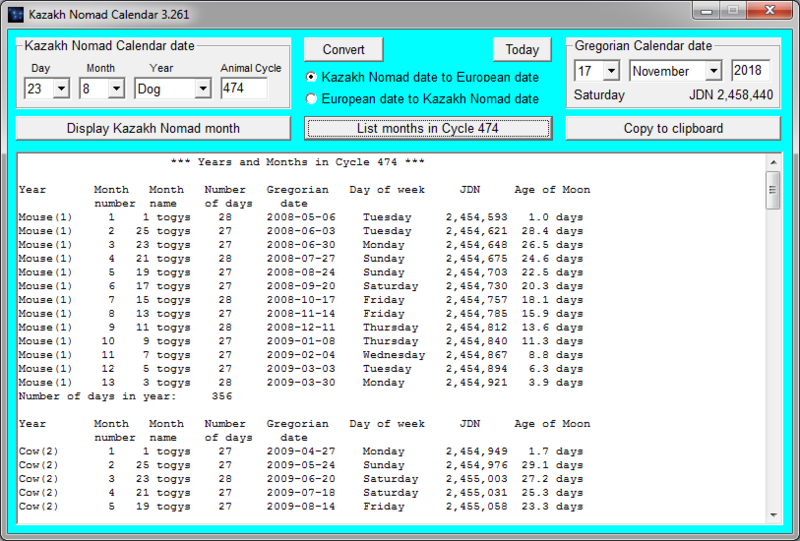 Software to calculate accurate dates and times for equinoxes, solstices and the Celtic cross-quarter days. The cross-quarter days are those midway between the equinoxes and solstices. Works for both the northern hemisphere and the southern. VB6 source code available. 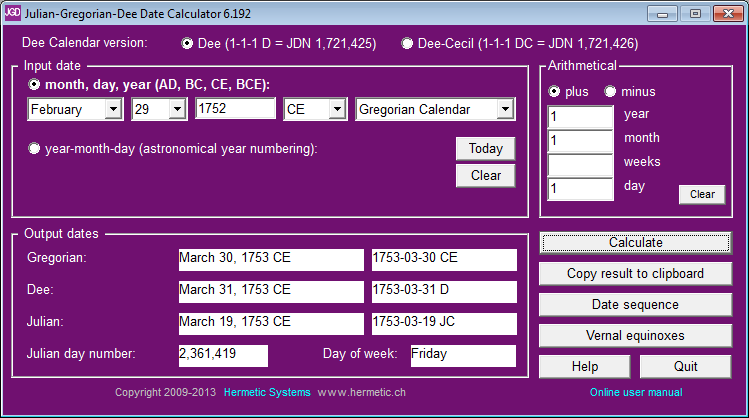 Converts between Julian, Gregorian, Dee and Dee-Cecil calendar dates in various formats, adds/subtracts a number of days, weeks, months and years to/from a given date, and calculates northern spring equinoxes using either mean or apparent solar time. 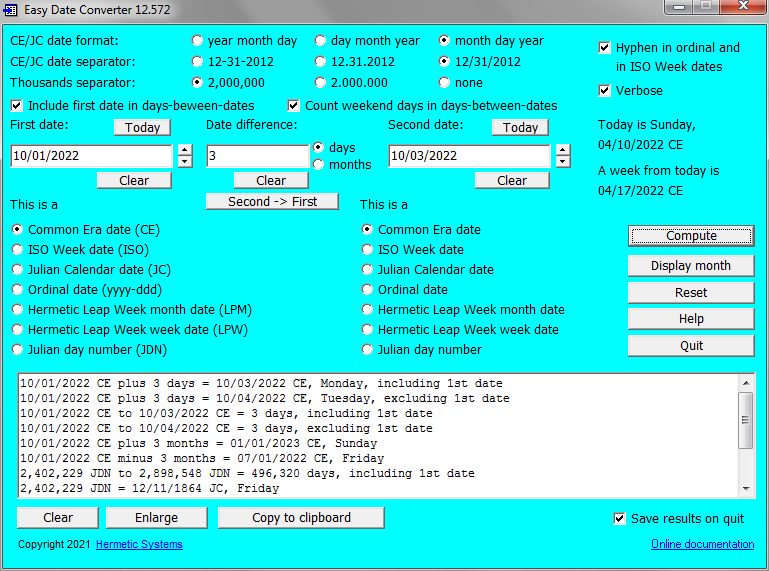 A program to convert between dates in various Chinese calendars and dates in the Gregorian and Julian calendars, and to find (among other things) lunar new year's day and leap months for any year in the Chinese Calendar. For converting between dates in the Kazakh Nomad Calendar and the Gregorian Calendar. A whole month may be displayed. The starting dates of all years and months in a particular 12-year cycle may be listed, along with the number of days in each month. 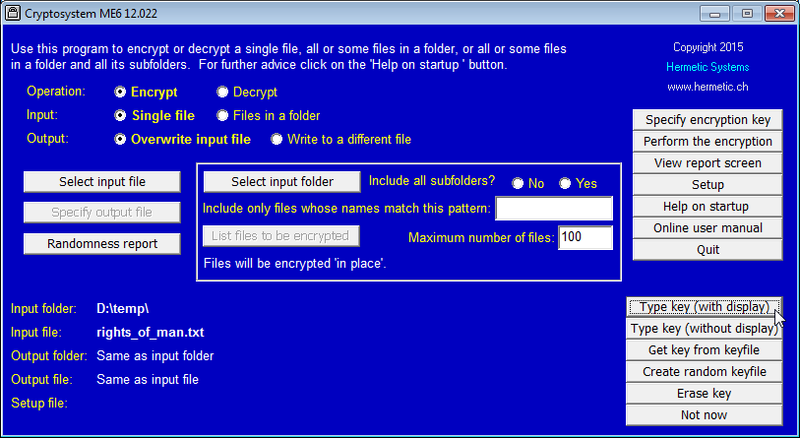 A program for the encryption and decryption of single or multiple files for secure storage or transmission. It uses a symmetric key encryption method with a 500-bit key for security, and has numerous safeguards against user error. 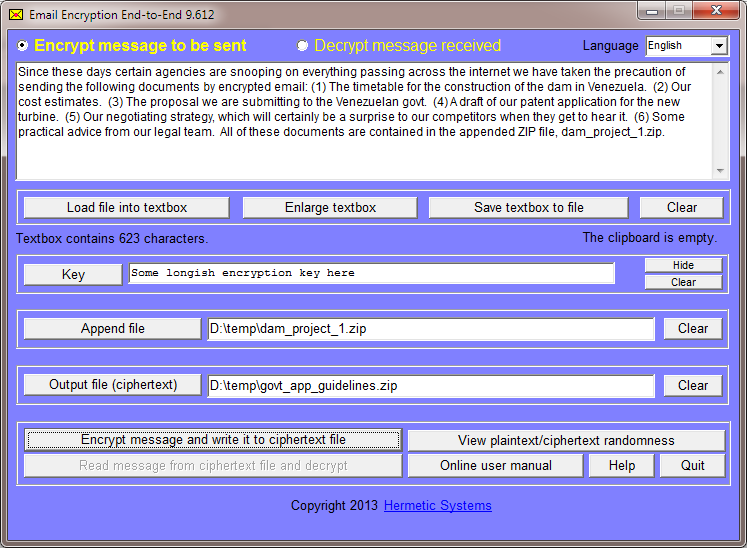 A program to encrypt a message to send by email, and to decrypt encrypted messages received. Using this program ensures that email is encrypted before it is transmitted to your mail server and remains encrypted until after downloading by the recipient. Bilingual: English and German. A program for secure file deletion which overwrites data in specified files so that the data cannot be recovered by any means. A single file can be purged or, in batch mode, multiple files. 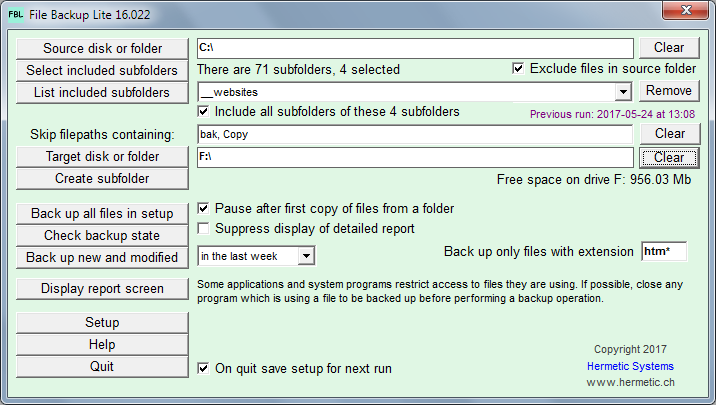 Selected subfolders of a folder can be purged. The user can specify the type of purge. Purge speed can be tested for an estimation of time required. Can wipe files older than a specified date. Software to back up selected files and folders (and their subfolders). All files, or just new and modified (within a given time period), are backed up. Backup operations can be saved in setup files for re-use. These programs run under all versions of Windows from Windows 98 to Windows 10. The software (after download) can be made fully-functional by means of an activation key sent by email after purchase of a user license. Updates to new versions (if any) are free, as is tech support for the duration of the user license. The developer of these programs is currently available for custom software development at an affordable rate. If interested please leave a message here.